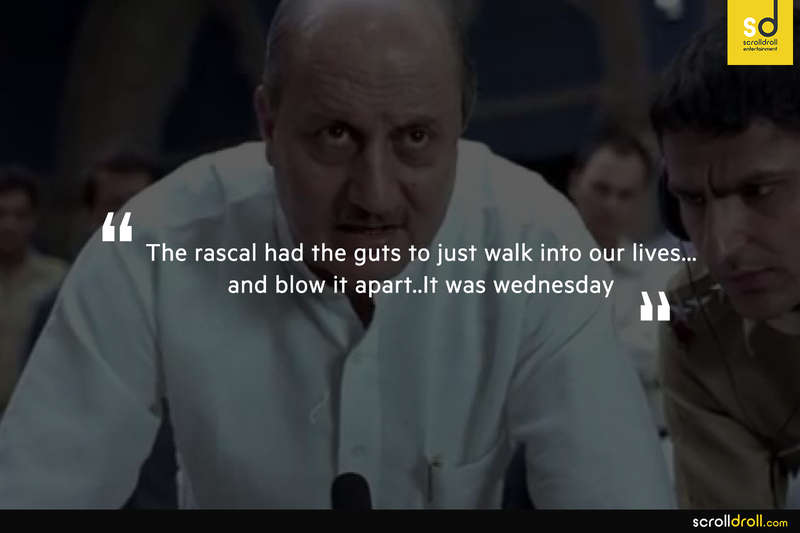 11 Dialogues That Will Make You Want To Watch 'A Wednesday' Again! 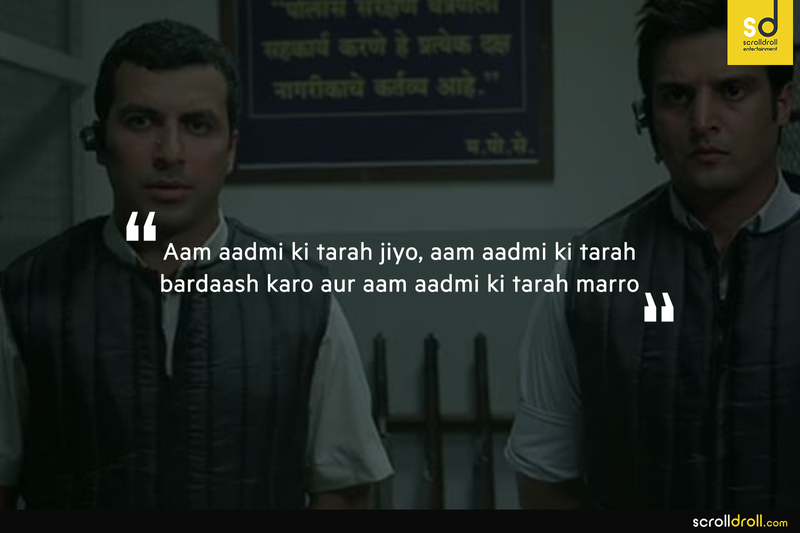 Written and directed by Neeraj Pandey, A Wednesday is an engaging thriller that’s more dramatic and unpredictable than anything you’re likely to imagine. It is focused on one of the major issues faced by the world I.e terrorism. 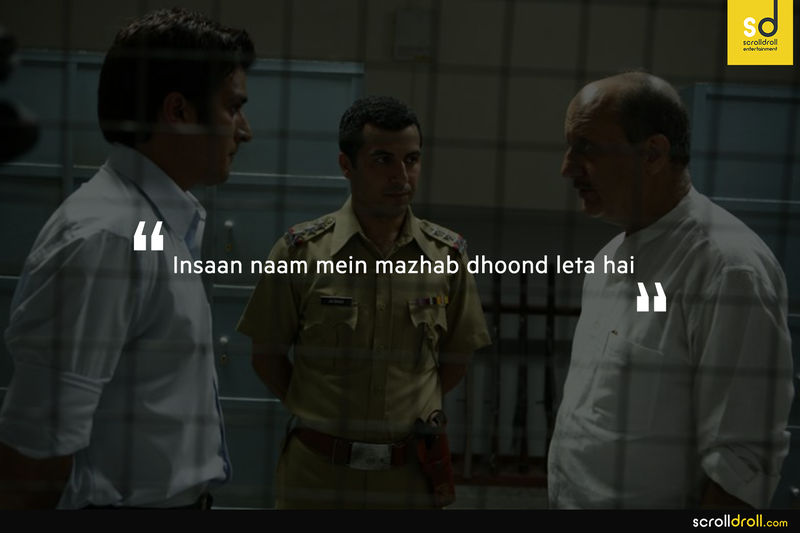 Though a cliched topic to be picked up, it’s portrayal in the movie is what makes it remarkably gripping. 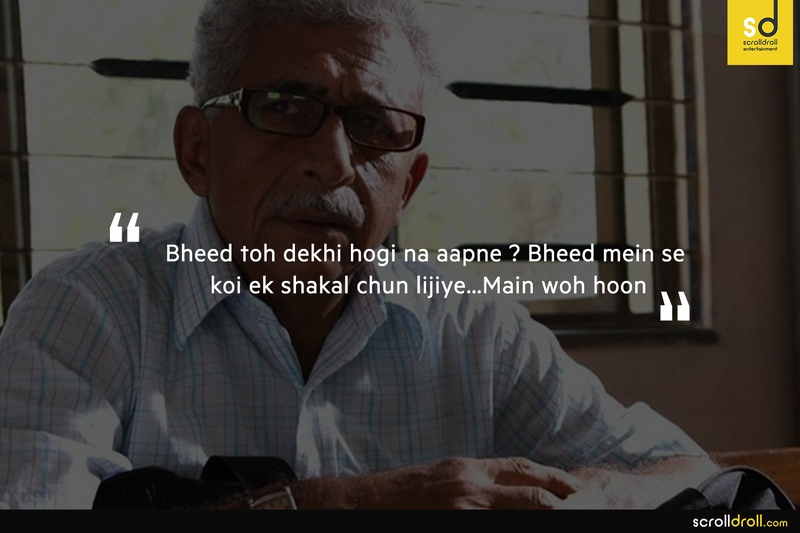 Naseer as an anonymous caller demanding a release of four terrorists from a hard-headed cop played by Anupam Kher makes for the most thrilling climax. 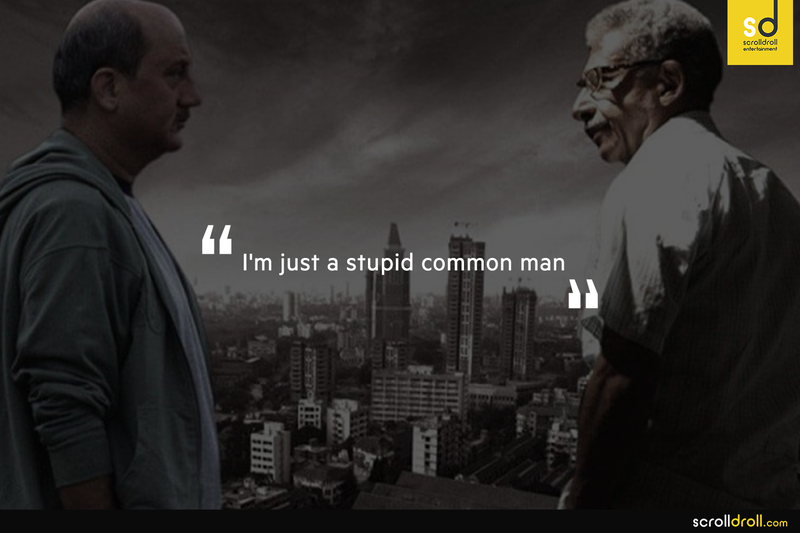 What elevates A Wednesday from your average action thriller is the fact that it comes loaded with a very solid ideology that, when “a stupid common man” decides to take the leash of all that must be corrected- lessons WILL be learnt! 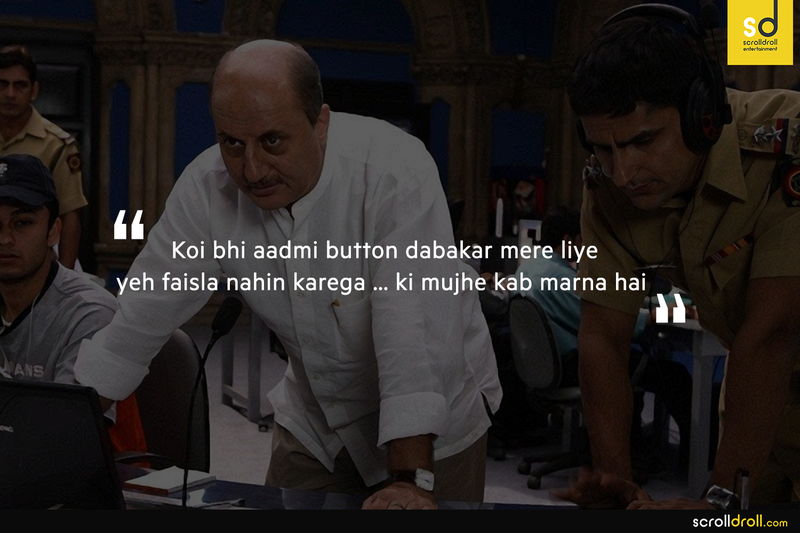 Here are some of the best dialogues that will make you want to watch ‘A Wednesday’ again! 1. 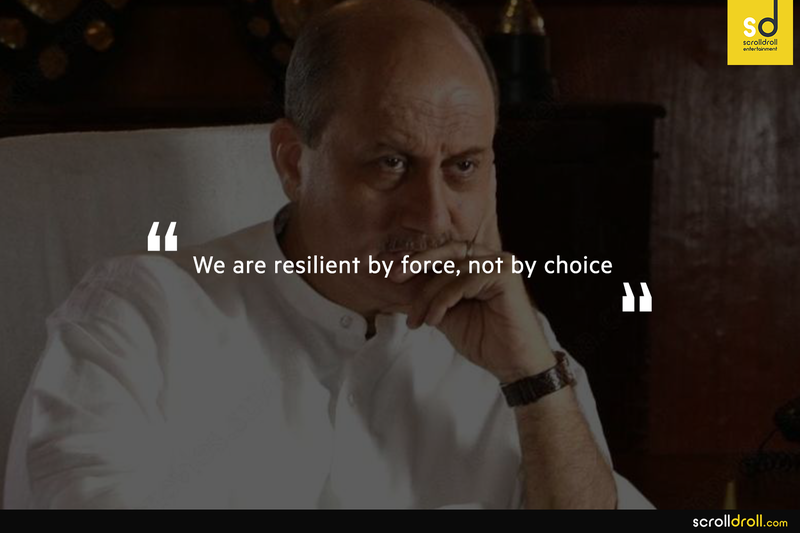 Simple dialogues with even simpler delivery is the essence of the deep meaning that lies between the lines. 2. 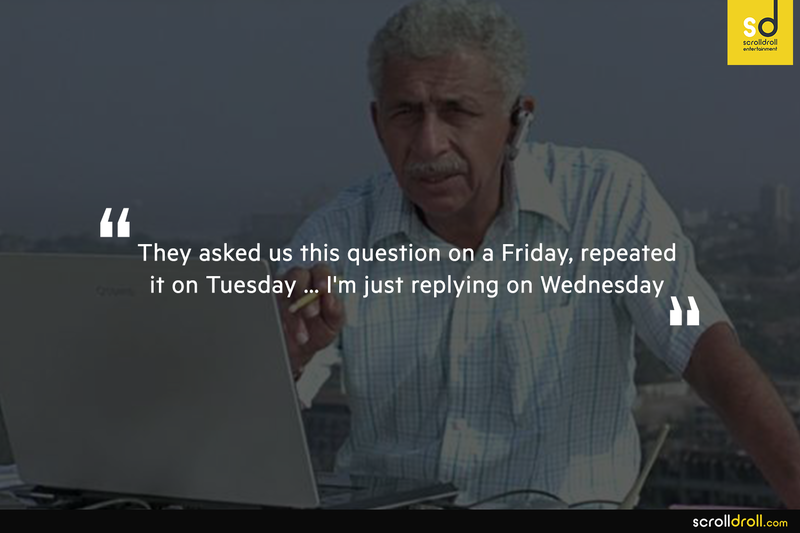 We know you read it in Naseer sahab’s voice. 3. Do you hear the frustration in the dialogue? 10. There’s always two sides of a story. 11. 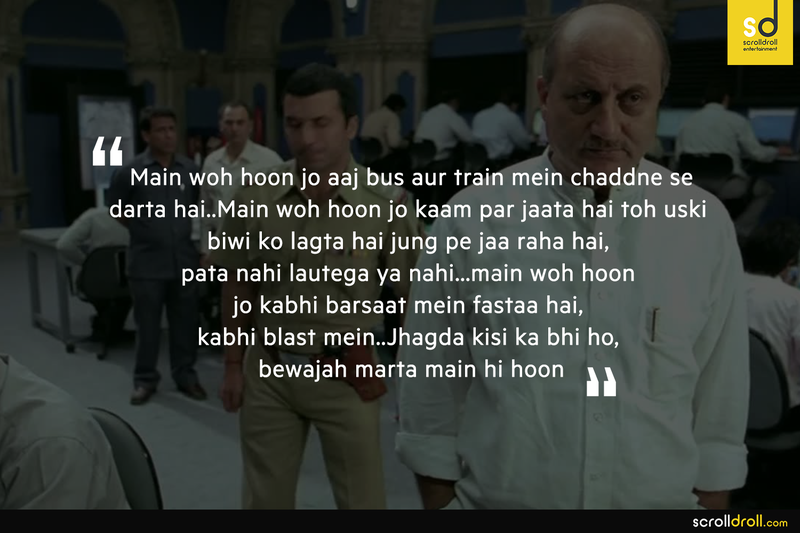 One of the most profound dialogues from the classic! 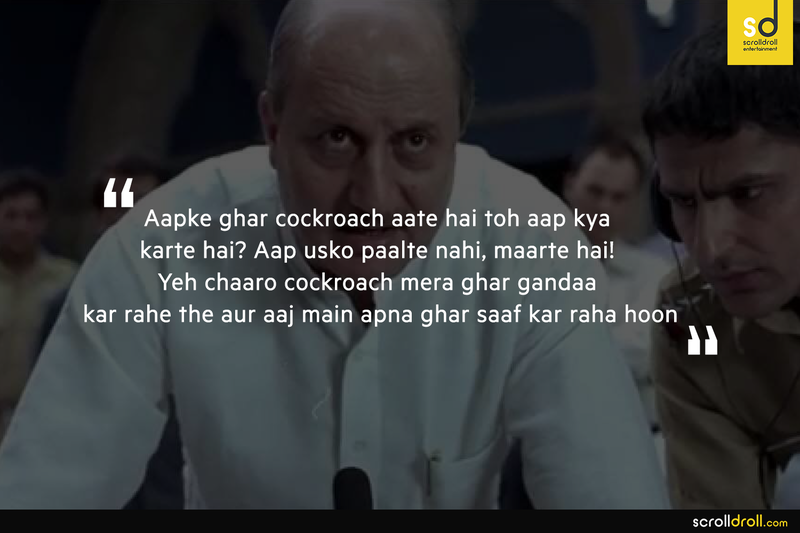 This is one of those gems of Indian Cinema that demands to be discussed and debated about. A Wednesday hit so many soft corners in it’s audience that its impact isn’t easy to deter. we are definitely going to watch it again tonight! what about you guys?